Already “in” with the AirHelp mobile “app” crowd? We thought you’d like to be the first to hear the news of the latest updates to the app. It’s now easier and faster than ever to file a claim — and you can check your eligibility anytime, anywhere in two minutes or less. Not yet onboard the AirHelp mobile app game? Download to discover why frequent flyers turn to the AirHelp mobile app to recoup what’s been lost during an air travel mishap. 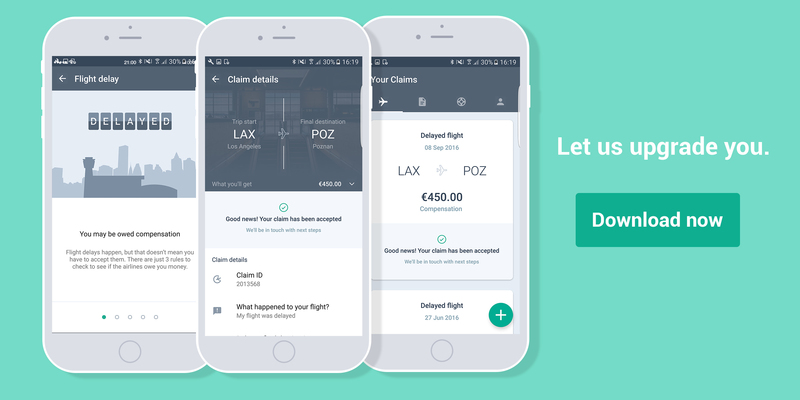 Now is the time to jump onboard to manage your air travel compensation claims while enjoying the updates – and a sleek new design. The latest update unveils new functionalities and improvements for you to enjoy. Download the AirHelp mobile app now. You could file a claim on your own or hire a lawyer if you’d like, but there’s no need to waste more of your own valuable time when we’ve done the work to shave down hours of legalese into a five-step process all handled on the AirHelp mobile app. Our legal team checks your flight’s eligibility under existing laws that provide protection against delayed, disrupted or canceled flights. If your flight qualifies then we’ll take the necessary steps to get you your money back. Because when air travel goes wrong, we make it right again. 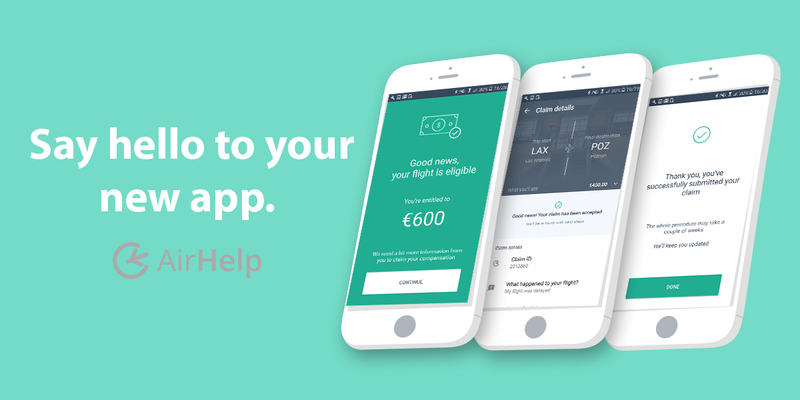 Download the AirHelp app now. You could receive up to $600 if your flight was delayed or canceled or if you were denied boarding. Find out if you’re eligible, submit your claim on the mobile app and we’ll make sure you receive the compensation that is rightfully yours. There’s no risk in filing a claim – AirHelp doesn’t charge you anything unless we help you receive compensation.